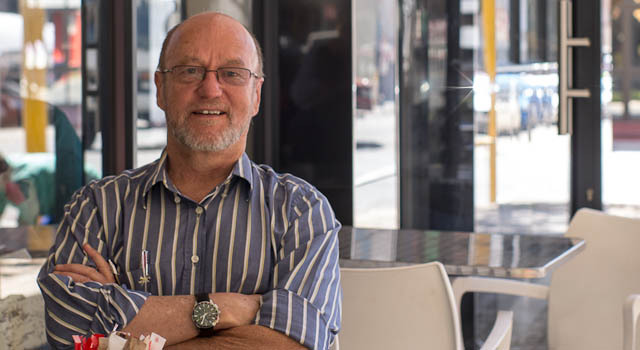 With hair clipped close to his head and a speedy gait, Derek Hanekom, 59, is energetic but welcoming when he sits down with me at a roadside restaurant table on Anderson Street in downtown Johannesburg. 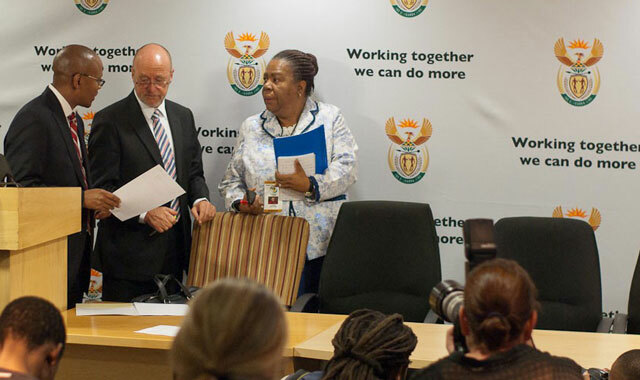 Earlier this month, President Jacob Zuma announced that Hanekom, previously deputy minister of science & technology, would replace Naledi Pandor as minister. Born and schooled in Cape Town, Hanekom had an English-speaking mom and an Afrikaans-speaking dad. He had no problem slotting into an Afrikaans high school. Like many of his white peers, Hanekom followed school with compulsory military service — before registering for a law degree at the University of Stellenbosch. But barely midway through his first year of study, he began having doubts about his decision and opted to spend six months travelling before returning to university. “Six months turned into two-and-a-half years,” says Hanekom. The future cabinet minister wound up in Johannesburg and spent two years working at Santarama Miniland, a peculiar theme park south of the city with scale models of famous SA buildings and landmarks, where he operated a ferry on the nearby Wemmer Pan, worked in the shop and acted as a general handyman. Hanekom admits that before 1976 and the Soweto uprising, where schoolchildren took the streets to object to being taught in Afrikaans — the language of the oppressor — he had little interest in the political situation in SA. This became a turning point in Hanekom’s politicisation. Because he was seen as a ringleader, he was pulled out of the holding cell in which he was being detained and was assaulted. “I realised that the stuff that you read about — ‘accidental’ deaths in jail and the myth of slipping on a bar of soap — was all false,” he says. He realised the police could act with impunity because they’d had no fear about assaulting him in front of witnesses. It wasn’t to be long before he joined the then-banned ANC. It was around this time that the anti-apartheid United Democratic Front coalition was established. Through political connections, Hanekom met SA Defence Force conscript Roland Hunter, who had access to sensitive information about the military and its support of the then armed Mozambican resistance movement Renamo, which enjoyed the secret backing of the apartheid government. The ANC’s then-president, Oliver Tambo, met with Mozamibican president Samora Machel and was able to furnish information on the location of Renamo training camps and even when and where the SADF was dropping supplies for the rebels. The Hanekoms and Hunter were charged initially with high treason but the charges were later reduced when a deal was struck: the government at the time didn’t want sensitive information to become public through the courts. “Roland got five years, Trish got three, and I got two and a bit,” Hanekom says. As Hanekom’s wife was originally from Zimbabwe — she had permanent residence in SA but not citizenship — she was deported upon her release from prison. Hanekom joined her in Zimbabwe, but his passport was stolen from his vehicle while there. SA refused to issue him with a new passport. Three years later, the ANC was unbanned and, in 1990, the couple returned to SA to work full time for the ANC. Hanekom worked on land and agricultural policy and, in 1994 — much to his surprise — was appointed as minister of agriculture & land affairs in the Mandela administration. Today, Hanekom is science minister, after serving as deputy minister for eight years. Hanekom says one of his biggest challenges is ensuring SA spends more on research and development. The country is struggling to reach an R&D spend target of 1% of GDP, even though eventually he believes the country should be trying to achieve a figure of 1,5% or even more. The more immediate challenge, says Hanekom, is getting schools and clinics connected. Unlike most politicians, Hanekom is an active user of modern communications technology, including social media. He says he likes the fact that Twitter is “instant and borderless”. Hanekom says that, as his follower base grows — it was approaching 10 000 at the time of writing — Twitter becomes a great medium to inform people about science and technology, which has become his passion. Hanekom is also a self-confessed Apple fan. He wasn’t an Apple user before the iPad was launched. But, he says, the tablet is “so easy to use”.